With the rise of the digital economy, many low- and middle-income countries face an obstacle: a shortage of qualified people to fill critical information and communication technology (ICT) jobs, a gap that is exacerbated by the low representation of women in these industries. The mismatch between the demand for ICT workers and the supply of job seekers with the necessary technical skills threatens the ability of those countries to participate in the digital economy, a powerful driver of growth for the twenty-first century. My new CFR report, Women in Tech as a Driver of Growth in Emerging Economies (coauthored with United States Agency for International Development’s (USAID) Chief Innovation Officer Ann Mei Chang), argues that increasing the participation of women in the ICT labor force would help bridge this gap, but women are not yet able to take full advantage of this growing sector. While a degree in computer science or engineering is necessary for most professional-level careers in ICT, the share of women graduates in these fields is slipping in many parts of the world. At the same time, development policy faces an existential crisis. Dramatic advances in automation and artificial intelligence are rapidly replacing low-skilled and routine jobs and closing the traditional path of development through industrialization. Factories, agriculture, and call centers—traditional stepping stones to the middle class for low-wage workers—increasingly require fewer human hands. The global trend toward offshoring is even showing early signs of reversal because increased automation has made the cost of labor less significant. In this upheaval, increased automation and computerization of workplaces has led to displacement of more women than men. Expanding women’s access to ICT jobs would not only advance economic opportunities for women, their families, and their communities, but it would also help address the shortage of skilled workers for these jobs and grow the digital economy. According to the recent McKinsey report, The Power of Parity, advancing women’s equality could add as much as $12 trillion to annual gross national product globally by 2025. Other research demonstrates that restricted job opportunities for women cost the Asia-Pacific region between $42 and $46 billion a year. Similar limitations have also led to the loss of enormous economic potential throughout Arab states, which have the widest gender gap in economic opportunity. 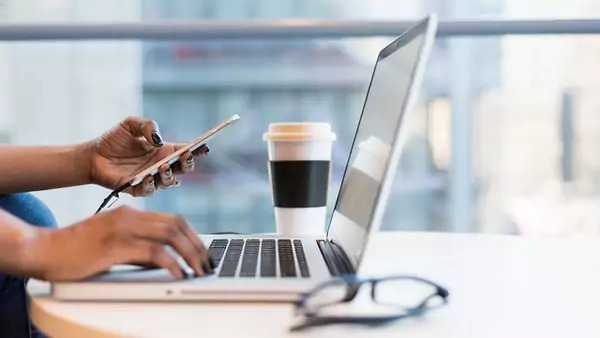 Moreover, as women become increasingly active users of technology, their participation in designing and developing tech products and services will help to enhance technology’s relevance for women as consumers, further boosting innovation and economic growth. Traditional patterns of gender hierarchy are being replicated in the digital economy. Men predominate in most high-skilled, higher wage jobs. The tech field has developed a “geek” or “nerd” culture, which often attracts more boys than girls. Girls may face cultural pressures and stereotypes that discourage them from developing the skills needed to join the ICT workforce. The gap begins in childhood. Within STEM fields, girls tend to gravitate toward the “soft” sciences that have neither the gender gap nor employment opportunities of ICT professions. Further, research suggests that boys have a tendency to tinker with computers as an innately interesting toy or puzzle, whereas girls tend to use technology as a tool for achieving another goal. Girls who do pursue computer science courses tend to lose interest, after being subjected to curricula that are oriented around abstract algorithms or male-oriented problem sets about subjects such as sports and poker. There are few female role models and mentors in ICT—both academia and the profession. Role models have the potential to inspire them, provide support and networks for job access, and offer encouragement and advice through the course of their careers. Although ICT jobs have the potential to offer flexible hours and the ability to work remotely, few companies are structuring their work this way to make jobs more accessible to women. This places women at a disadvantage given their multiple roles in work, family, and the community. Women have less access to technology as users, which decreases their digital literacy and likelihood of pursuing a career in tech. On average, in low- and middle-income countries, women have 14 percent less access to mobile phones and 23 percent less access to the internet. The new CFR report surveys case studies in different regions, with some surprising findings. In India, 42 percent of computer and engineering undergraduate students are women, double that in the United States. In fact, 30 percent of programmers in India are women, in contrast to 21 percent in the United States. In Malaysia, women’s participation in tech is equal to that of men, driving growth and closing the gender gap. However, only about 12 percent of computer science degrees go to women in Kenya, a tech hub for the region. In Brazil, the local software industry is expanding; however, the proportion of women studying computer science in college has plunged. In Arab states, such as the United Arab Emirates, significant numbers of women graduate in STEM, but their involvement in tech drops off before they enter the ICT job market. Working together, the public and private sectors should address the multiple barriers women and girls face, particularly in low- and middle-income countries whose economies stand to gain the most from greater participation of women in vital ICT jobs. For policy recommendations, check out the full report.